BOSTON (CLOUD PARTNERS CONFERENCE & EXPO) and SAN DIEGO – September 16, 2015 – Voxox®, the most comprehensive cloud-based rich communication service for consumers and businesses, today announced at the Cloud Partners Conference & Expo, being held at the Hynes Convention Center in Boston Mass., September 16-18, 2015, that the company has revamped its Hosted PBX and SIP Trunking solutions under the Voxox Office brand. Voxox Office is leveraging a combination of Voxox technology and third party tools to offer a wide array of new features and capabilities, many of which were implemented to address the needs of the Voxox channel community. For a limited time, Voxox is offering its largest channel partner promotion to date in conjunction with the Voxox Office launch. Through the end of 2015, channel partners will be able to double their standard commission rate with Voxox to 40-50 percent commissions for the first year of a 12 month (or longer) contract on any Hosted PBX or SIP Trunking deal. "The channel is our primary sales force so we are always thinking of ways to cater to partner needs," said Bryan Hertz, CEO of Voxox. 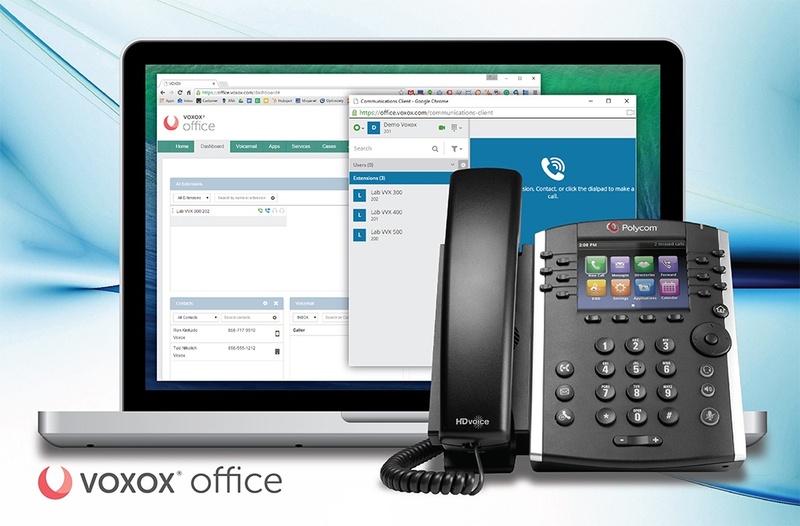 "We saw an opportunity to enhance our hosted PBX and SIP trunking solutions tailoring the latest offering to our channel partners' requests, and we feel that the new Voxox Office suite offers an even better partner and customer experience. We are excited to roll out this offering." With its CLEC operations and proprietary service delivery platform, Voxox is able to bypass expensive licensing fees that competitors pay, allowing the company to offer its customers some of the most competitive rates in the industry. Other unique benefits about the Voxox back-end technology include the ability to build powerful, scalable applications and services quickly and easily. For more information, please visit www.voxox.com/business. For those attending the Cloud Partners Conference & Expo, please connect with Voxox at the "Top Cloud Techs to Add to Your Portfolio" panel, where Voxox CMO Tristan Barnum is speaking today at 2:50 p.m. Eastern Time, Level 3, Room 310.